As our wounded nation heals itself in the aftermath of the Civil War, it is once more plunged into sorrow. In one treasonous moment President Abraham Lincoln is dead, and - though his assassin, John Wilkes Booth, is quickly caught - the treachery is far from over. A plot is being hatched to kidnap Lincoln’s body from the funeral train that will carry the fallen leader through the countryside of mourners, from Washington to its final resting place in Springfield, Illinois. But the great railroad detective Matthew Faraday has gotten wind of the plot - although its perpetrators are still a mystery. 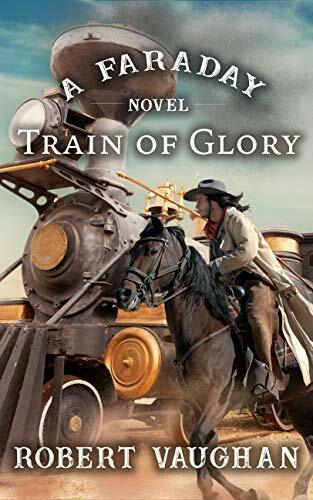 With the blessings of Secretary of War Edwin Stanton and the aid of his newest and boldest agent, Cole Yeager, Faraday is sworn to protect the great man’s body from desecration - while ambush, runaway locomotives, and death-dealing renegades wait up ahead.